The Rebel from Grinders are a superb womens biker style boot made from smooth leather in black, with a chunky, oil-resistant sole unit for greater durability. 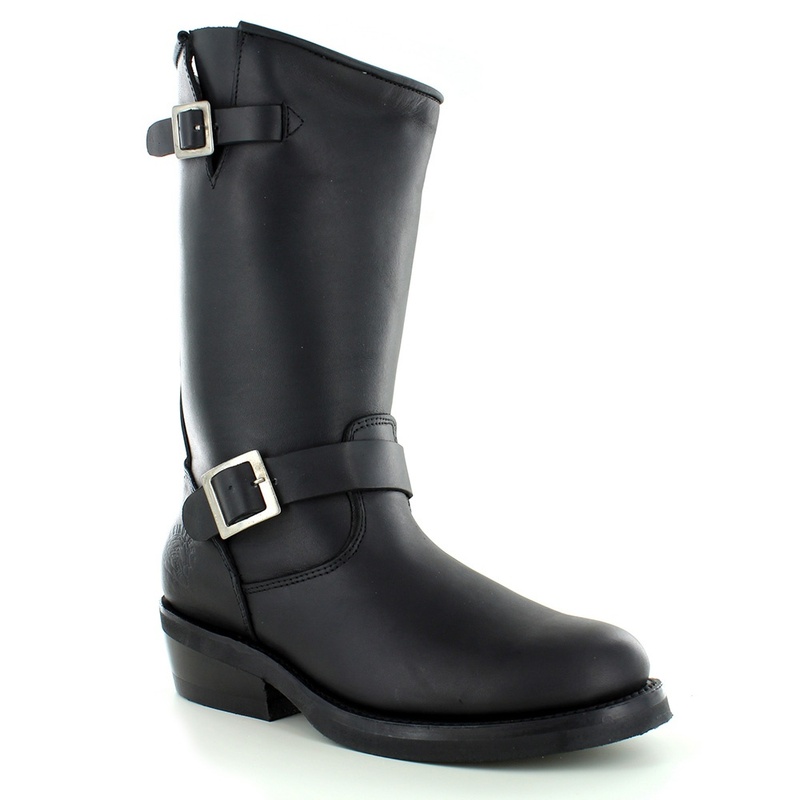 A strap wraps over the foot of the womens mid-calf boots and is secured with a dull silver effect metal buckle branded while a smaller buckled strap along the topline adjusts the calf fitting. A robust womens boot, the Grinders Rebel boots are perfect for letting people know you mean business. With these leather boots on your feet your guaranteed to make an impact!